It seems like I’ve overdone it again – the first Hanjie puzzle posted a few days ago was too big according to many of the visitors! 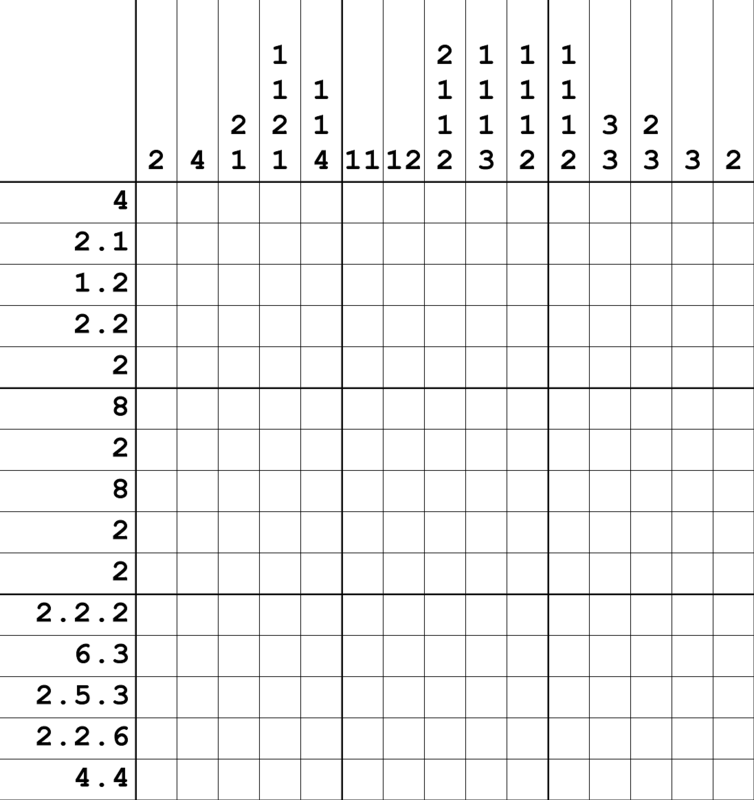 To rectify this problem, I’m posting a smaller one – it’s a 15×15 Hanjie, (griddlers, picross, nonograms) relatively easy, so even those of you who are new to these puzzles should be able to solve it without too many problems. This entry was posted in Free sample puzzles, Picross and tagged EASY, griddlers, hanjie, nonograms, Picross. Bookmark the permalink. Post a comment or leave a trackback: Trackback URL. Thanks for these kinds of puzzles. Are you working on a program for your faithful that will generate and solve these kinds of puzzles? There are already programs out there, but I do not believe that they check to be sure that they can be solved with logic only. In fact, one program let’s you create a puzzle, but it isn’t checked for logic. nj3h, I already have a program of that kind, but it probably won’t be released as it is now. At some point I will release a stripped down version which will only implement the basic “unknown cells” solving method. Are there any other hanjie games on this site?ever since i found out about hanji/ many other names for it, ive been addicted. I like to print my solutions out when I print the puzzle so that I can check my answers before I’m screwed. Tell me I’m not the only one who noticed that the solution link doesn’t work? No, the solution doesn’t work. All I get is a ‘Â£’ picture. Even if I save it. The picture is the solution! Perhaps you wanted a more detailed image showing exactly which squares should be filled in – in which case you’ll have to ask DJ for a bigger picture. OMG, now I cringe with embarassment :-S I realised after I correctly solved it that it WAS the solution! It misled me, as it was sooooo small, and the puzzle itself so big – to print and solve it I had to resize it to 25%. Aaah. Thanks Cathy. I didn’t realize that one.